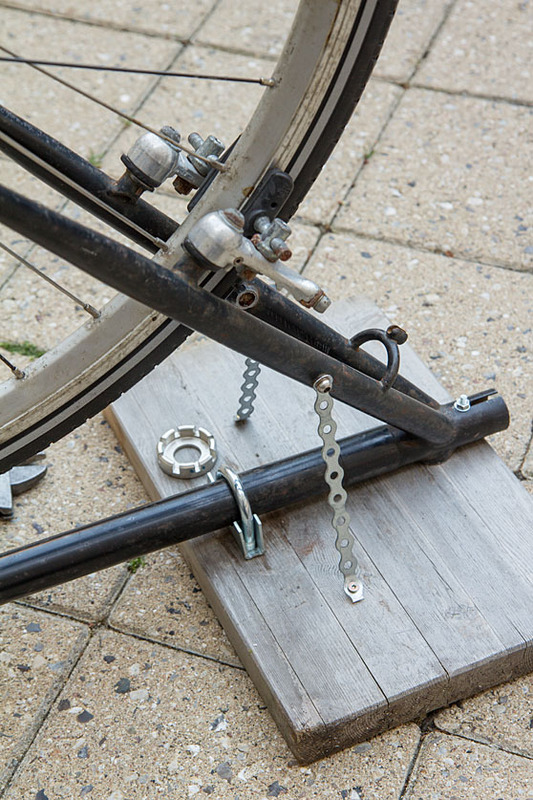 A cheap, homebuilt alternative to an expensive wheel truing stand. 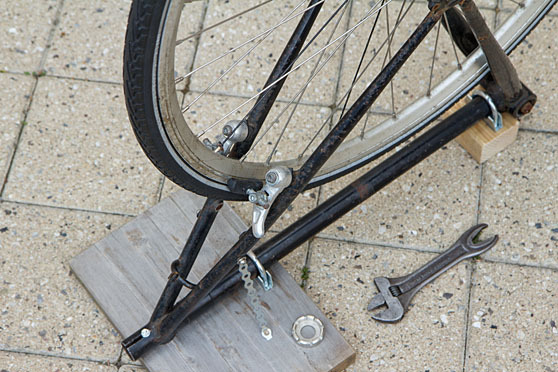 If you have an old, defective frame with cantilever/V-brake bosses, you can cut it up into a DIY wheel truing stand. 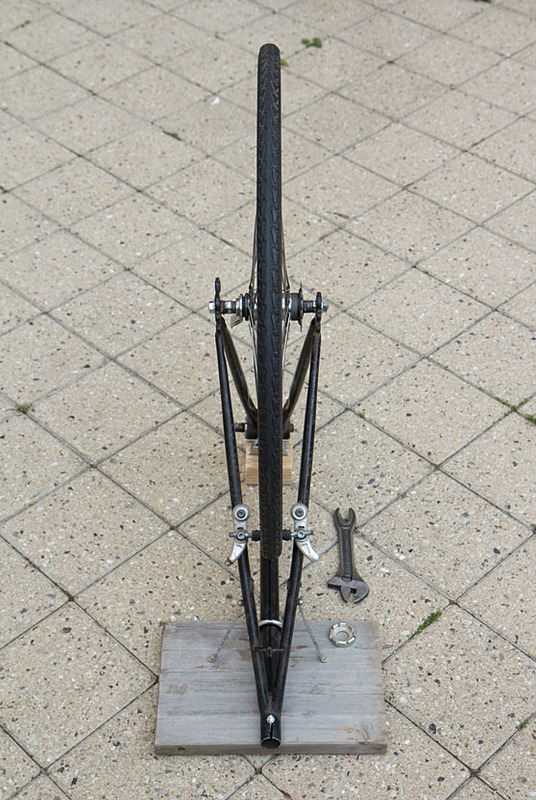 The cut off rear triangle of the frame mounted on an old wooden board using countersunk U-bolts and tensioned metal bands to further stabilize it. 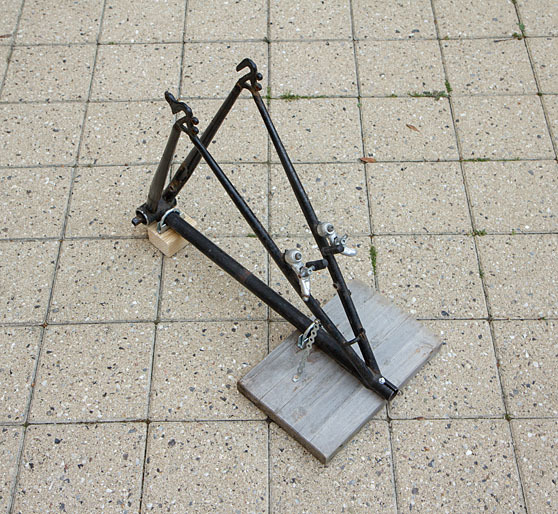 A narrow "third leg" ensures inherent stability on uneven surfaces. 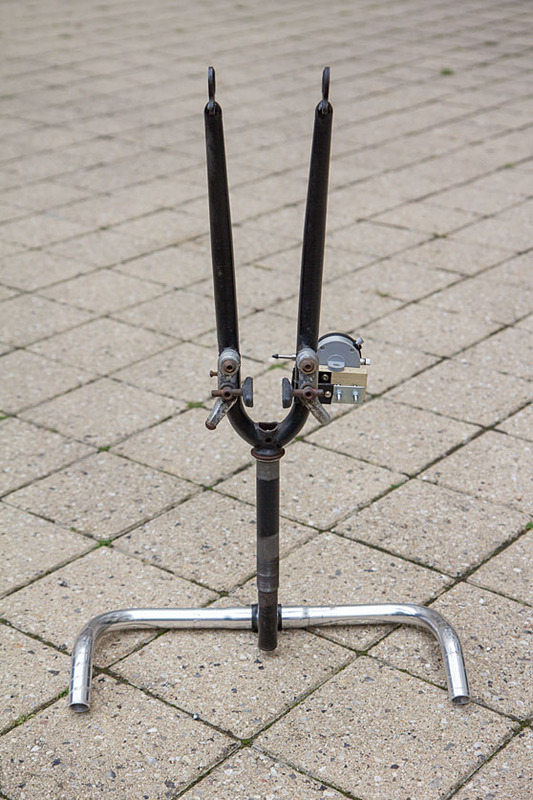 Larger-diameter washers has been added between the old cantilever brake arms and the retention screws to intentionally make them bind, so friction is used to position them. 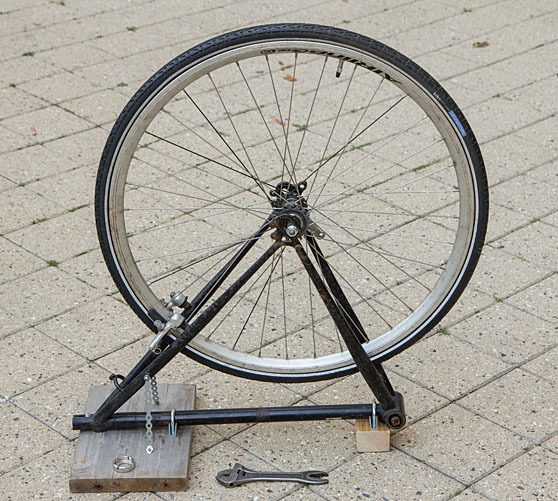 For the basics of truing a bicycle wheel, refer to this video. 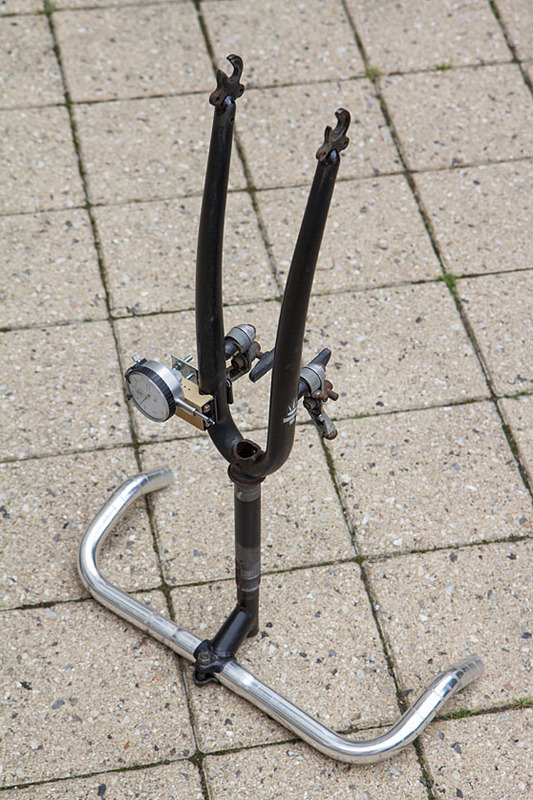 Note that the supporting struts between the seat stays and chain stays have been sawed off to make the fork a bit more sideways flexible. 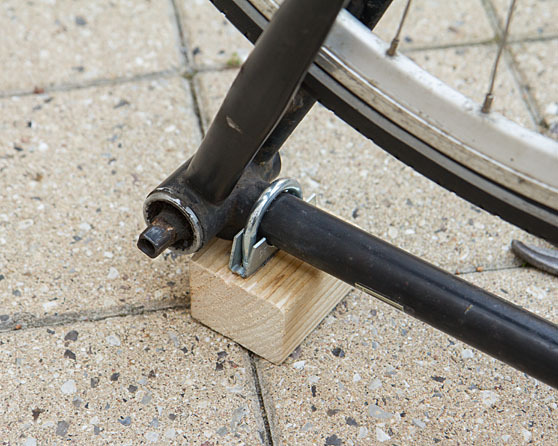 This is to also make it compatible with narrower hubs.